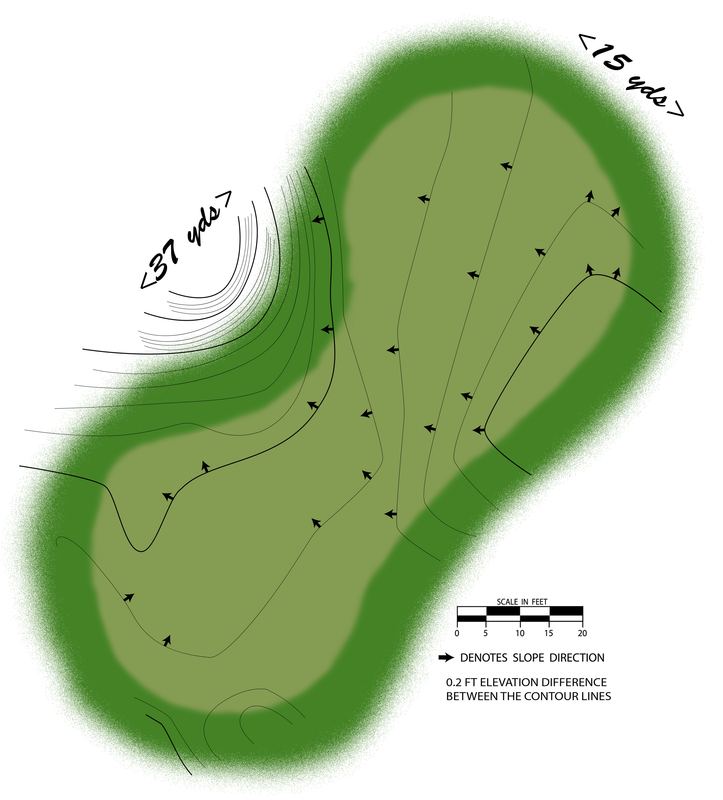 One of the more difficult holes but easily playable from the left side of the fairway off the tee to the narrow green running diagonally front left to back right. Playing from the right waste area does not bode well with bunkers left and right of the green and sharp drop-offs left and long. Only subtle breaks on this green; putt it boldly to the hole.